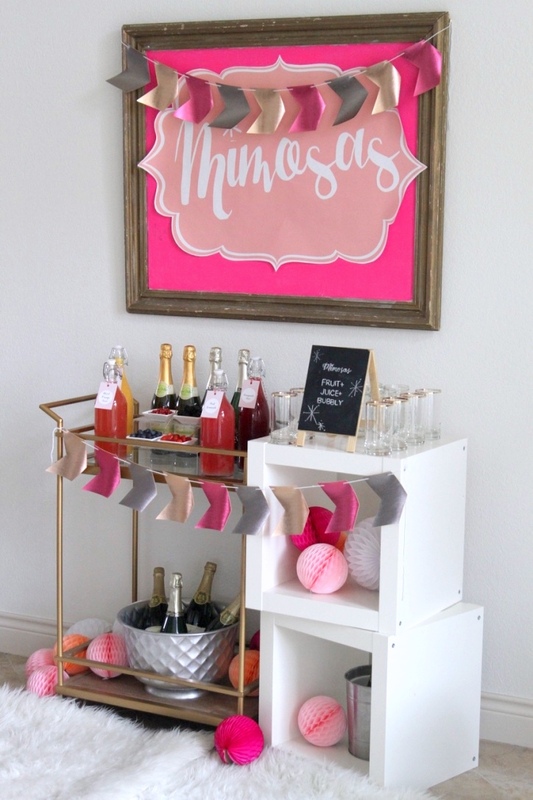 So our new house was christened with it’s first baby shower a couple weekends ago (for the sweetest family at church that just got a new foster baby!). 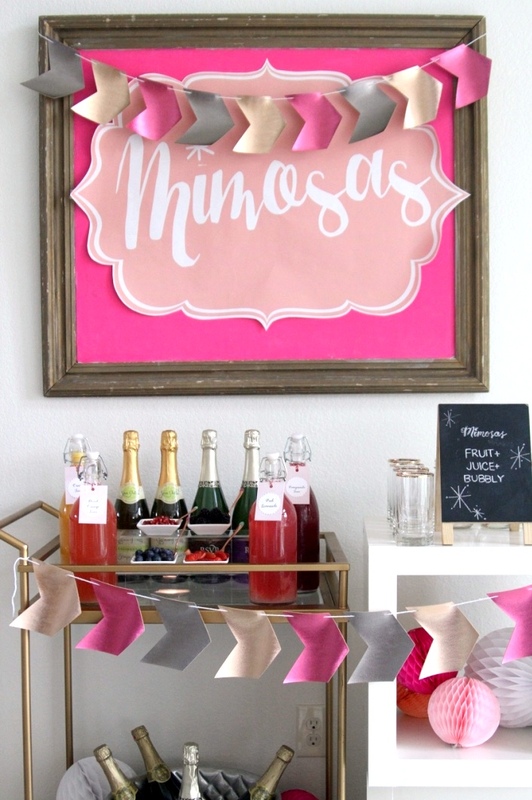 Piper helped me with the planning and it was heavy on the pink (plus swans and flowers for good measure). 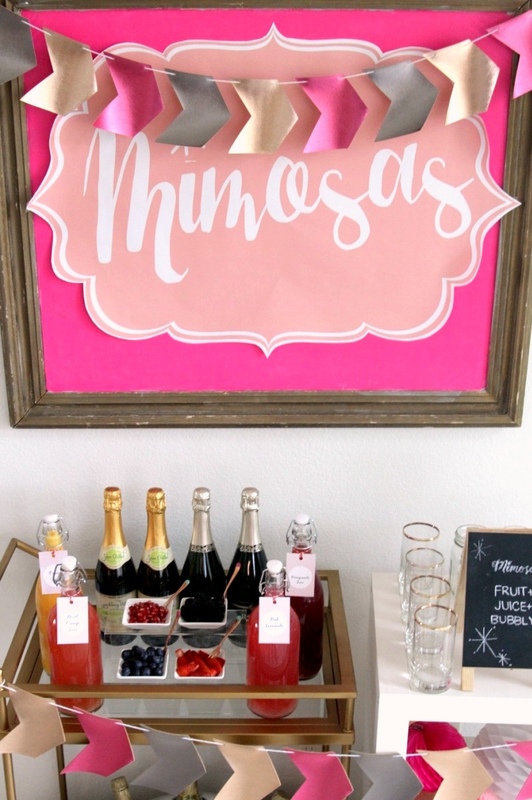 I’m so slow at editing party pictures, but as I was scrolling through the pictures I noticed that the pink Mimosa Bar fits right in with the pink-everything for Valentine’s right now! 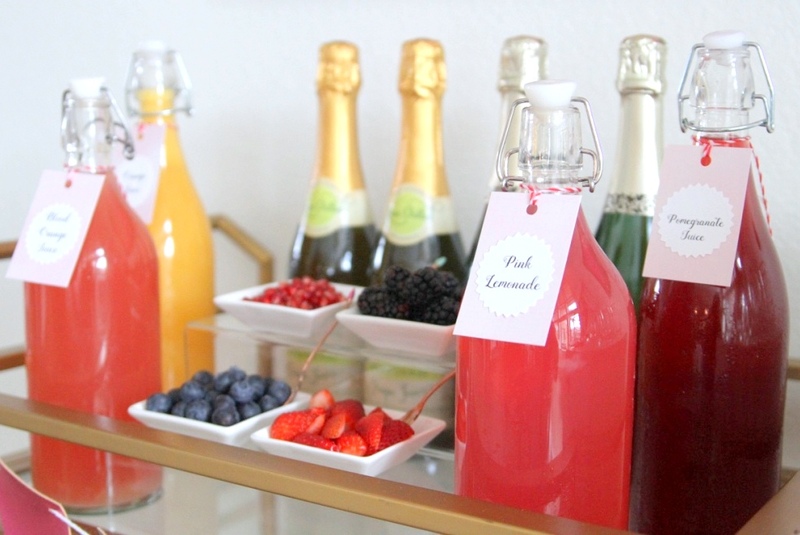 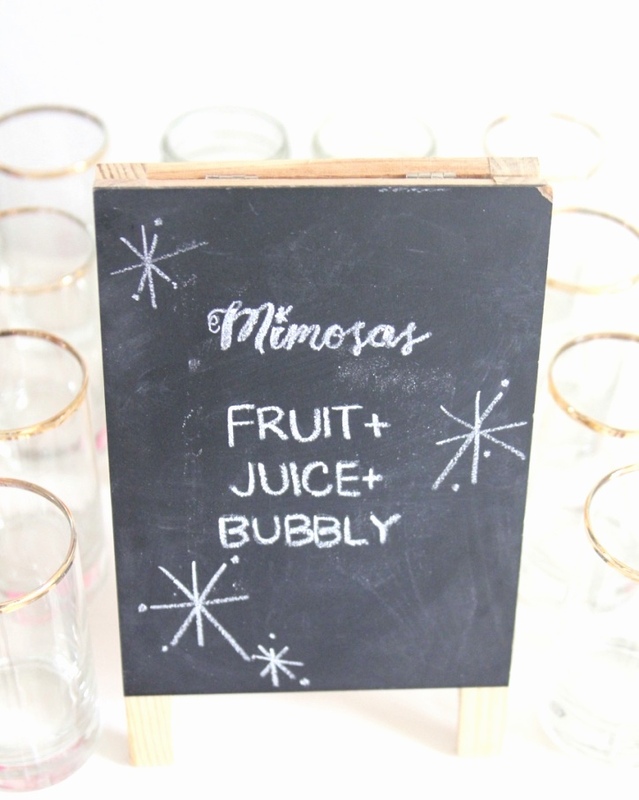 I thought I’d put together a little party sneak peak and share the Mimosa Bar just in case you’re doing a Valentine’s brunch (or Gal-entines party!) 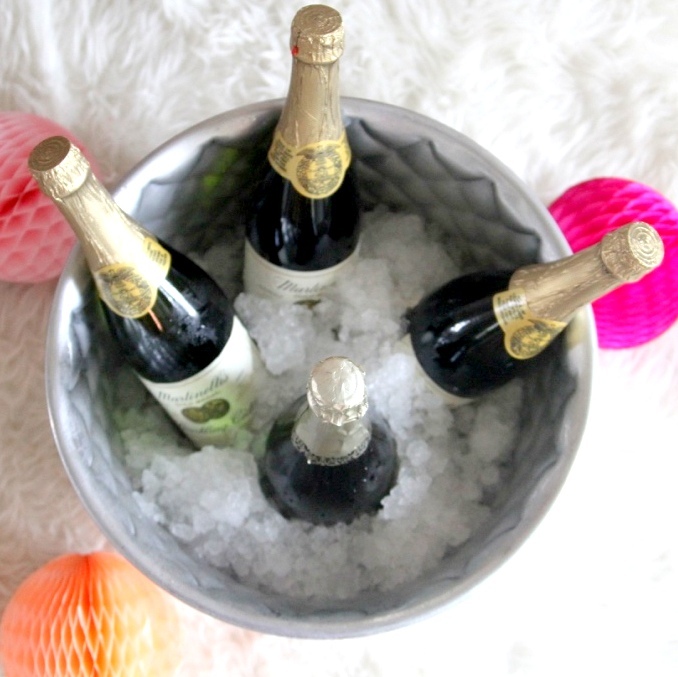 anytime soon. 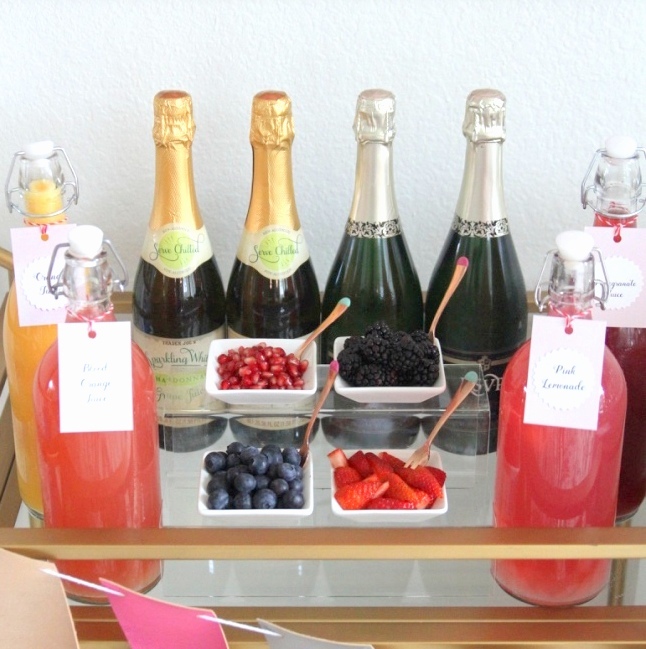 Plus, this little setup is perfect for spring bridal showers (and seriously, so easy to put together)! 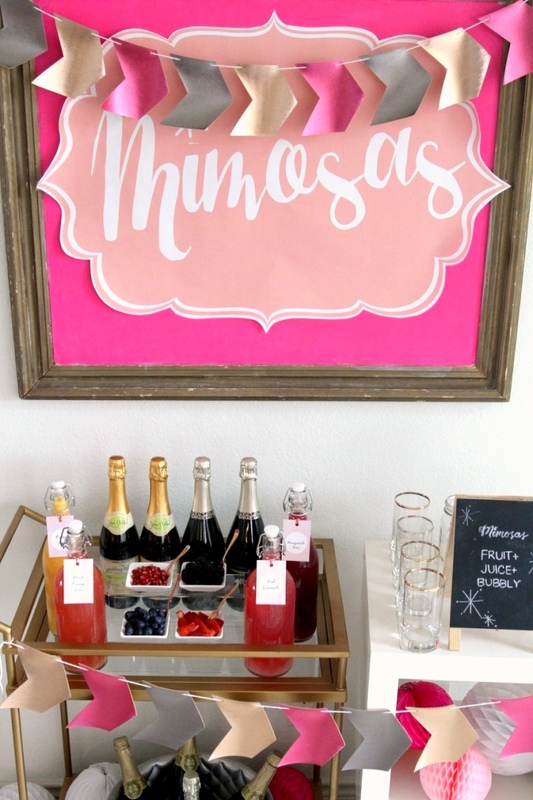 I have two entire posts dedicated to Mimosa Bar assembly (here and here– that second one even has a shopping list), so I won’t add much. 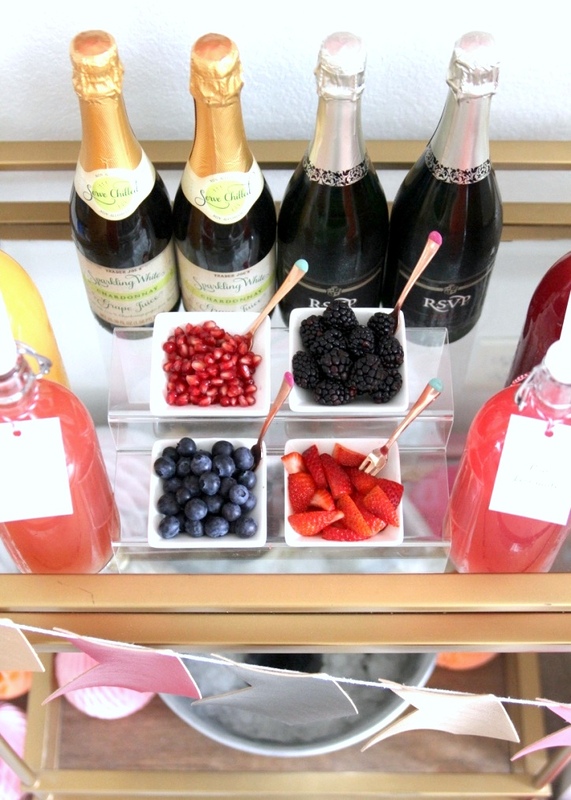 Except that since those first couple of Mimosa Bars, I’ve acquired a bar cart (ok, a couple of bar carts) and it makes the setup even easier. 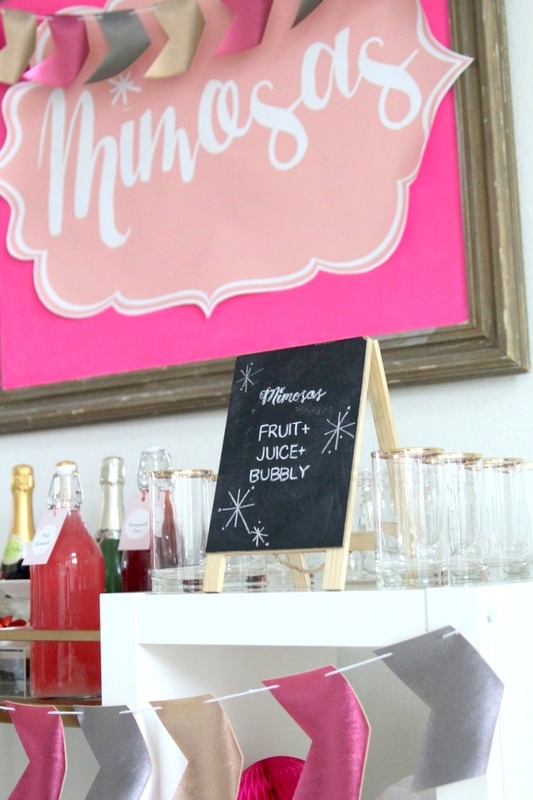 Also, I wish I’d made myself a hot pink chalkboard years ago. 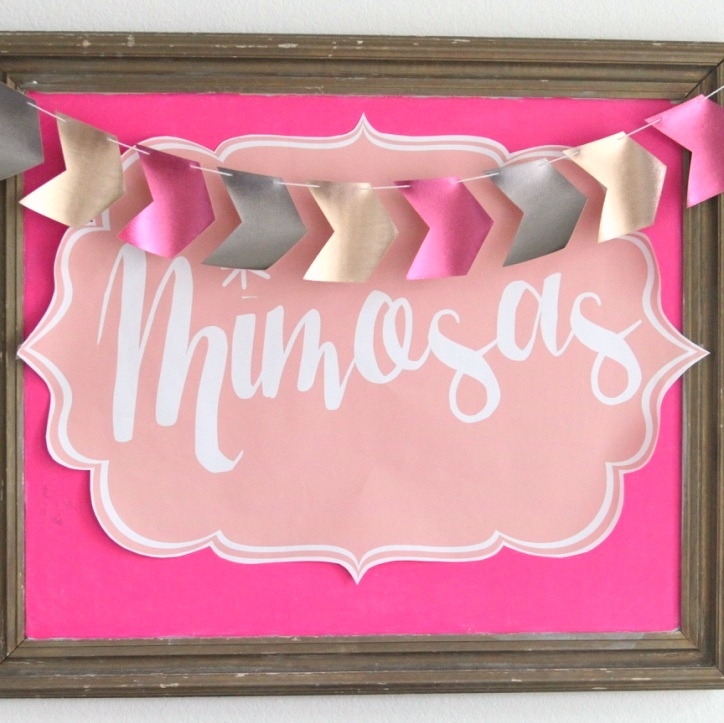 ps- You can buy the pink Mimosa Bar poster download in the shop! 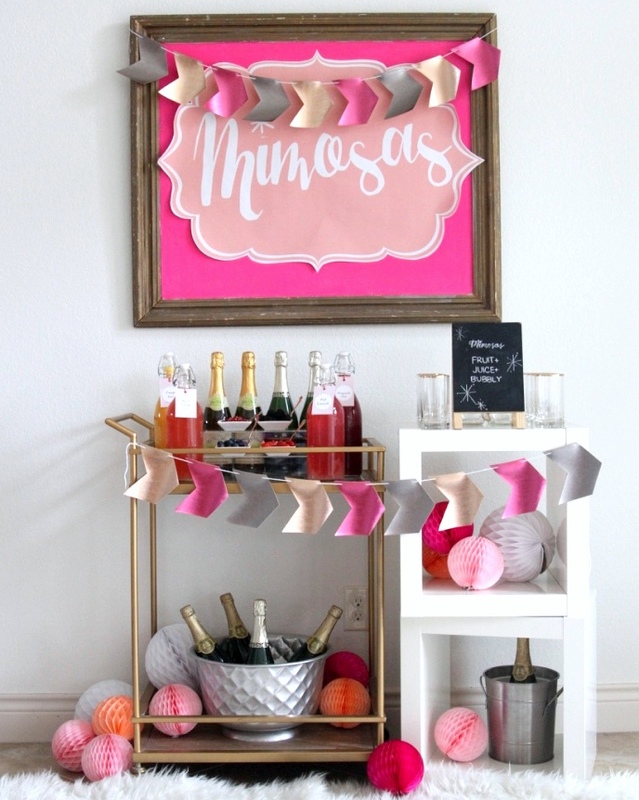 So excited that it’s up and running!